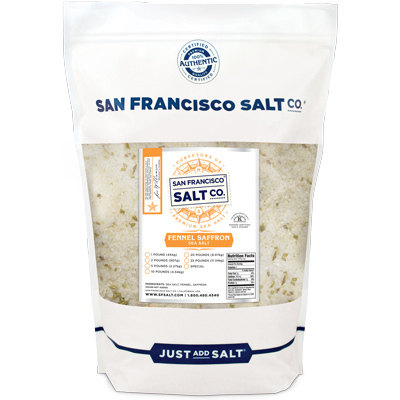 Fennel Saffron Sea Salt - 2lb Bag | San Francisco Salt Co. 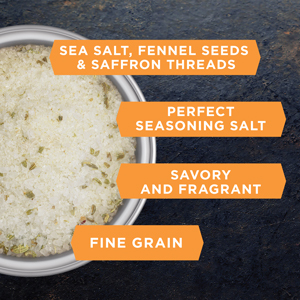 Pure Pacific Ocean Sea Salt is infused with real Saffron Threads and Fennel Seeds, resulting in a distinctly unique, fragrant flavor. Two deeply rich, aromatic ingredients come together to form a unique salt that smells as delightful as it tastes! THE WORLD'S MOST EXPENSIVE SPICE - Saffron is held in high regard among spice connoisseurs because of its distinctive, highly unique flavor, but the amount of labor required to produce Saffron makes it so expensive that it is sometimes worth more than gold. Saffron threads are the dried stigmas of the saffron flower, and because each flower only contains three stigmas, it takes more than 75,000 flowers to produce a single pound of Saffron Threads, all of which must be harvested by hand. A DISTNCTIVE DELIGHT - The sweet, perfumy, anise-like flavor of Fennel Seeds perfectly complement the distinctive musky floral flavor of Saffron Threads. 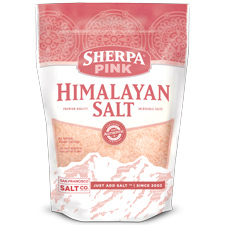 This is an incredibly distinctive but versatile salt that is sure to leave a lasting impression on your palate. 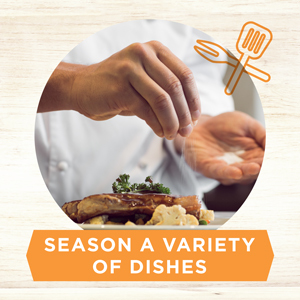 AN ESSENTIAL INGREDIENT FOR PROFESSIONAL & HOME CHEFS ALIKE - The ultimate cooking salt, our Fennel Saffron Sea Salt transforms homemade dishes like Spanish Rice, risottos, fish soups, and paella into esteemed culinary masterpieces. 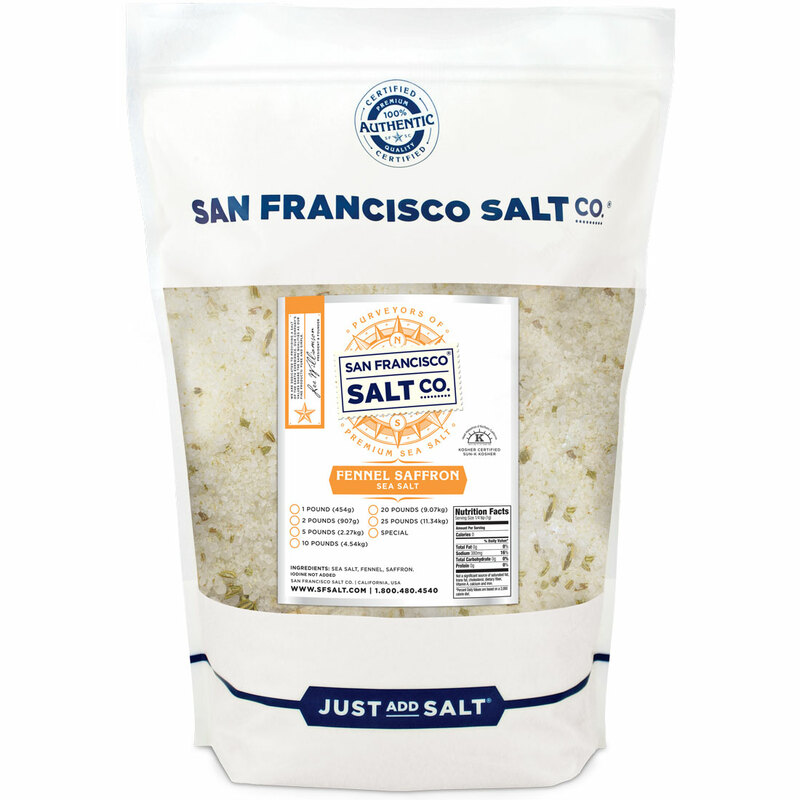 BUY WITH CONFIDENCE - The San Francisco Salt Company is confident that you will be happy with the quality of our products and will stand behind any item we sell. We are a trusted salt supplier since 2002. �� *This salt does not supply iodide, a necessary nutrient. DESCRIPTION - Pacific Ocean Sea Salt infused with Fennel Seeds and Saffron Threads. Packaged in our U.S.A., SQF Quality code compliant facility. PACKAGING - 2 lb. Resealable Bulk Bag. GRAIN SIZE - Fine Grain (0.1mm - 0.63mm). 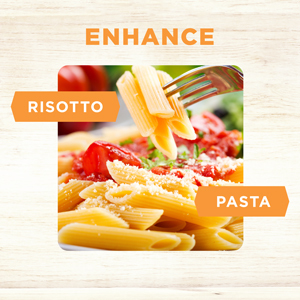 Suitable for a variety of culinary uses. 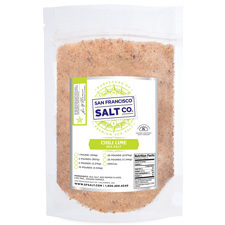 PROPERTIES - Our Fennel Saffron Sea Salt is Kosher Certified, Non-GMO, and does not contain any MSG, Soy, Gluten, Dairy, anti-caking agents, or artificial colors. INGREDIENTS - Sea Salt, Fennel Seeds, Saffron Threads. 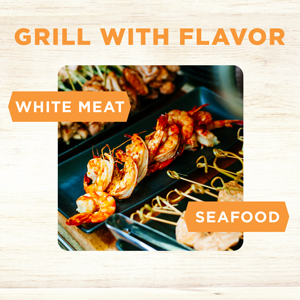 Garnish white meat and seafood with Fennel Saffron Sea Salt for an unexpected twist! 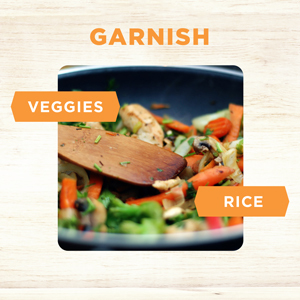 This salt is the perfect aromatic addition to veggies and rice. 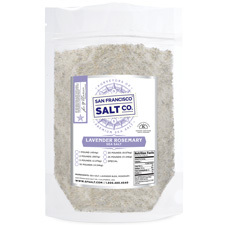 This salt is the perfect choice for sprinkling directly on risottos and pasta dishes.